The Bantam BT3-C was Bantam's last ditch effort to survive as a manufacture after WWII. 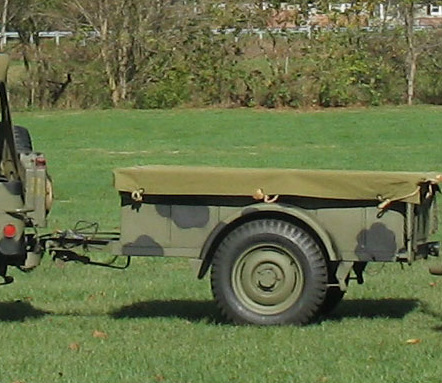 The BT3-C was a civilianized version of the Bantam BT3. 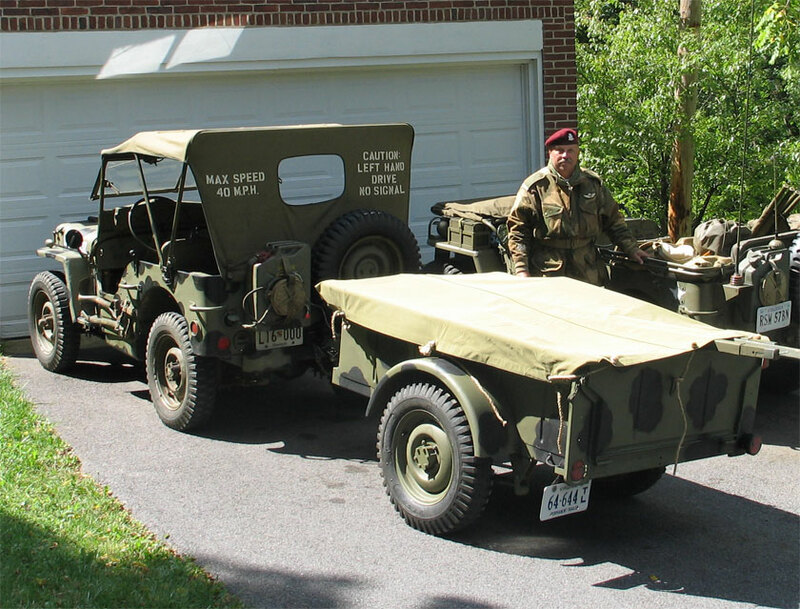 This was the military trailer that Bantam produced for the war effort. In a way the BT3 was their consolation prize for designing the Jeep but losing the contract. After the war Bantam modified the trailer lightly for civilian production. The company cut a tailgate out of the back, added steel supports, and the pintle hitch was changed over to a civilian ball hitch. I found my Bantam BT3-C at the Rough and Tumble museum's annual Thresher's reunion. My friend Scott noticed the BT3-C and mentioned how he had once restored one when he owned the 1944 Willys MB. We looked the trailer over and found it to be quite sound with no issues other than minor surface rust. 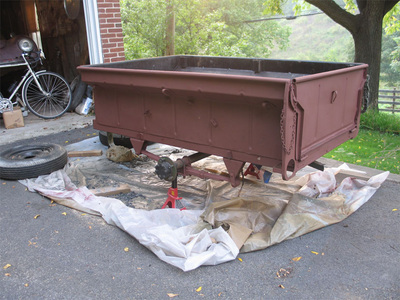 The trailer was also sporting its original wood sides and hardware. I struck a deal for $350.00 and we towed it home. 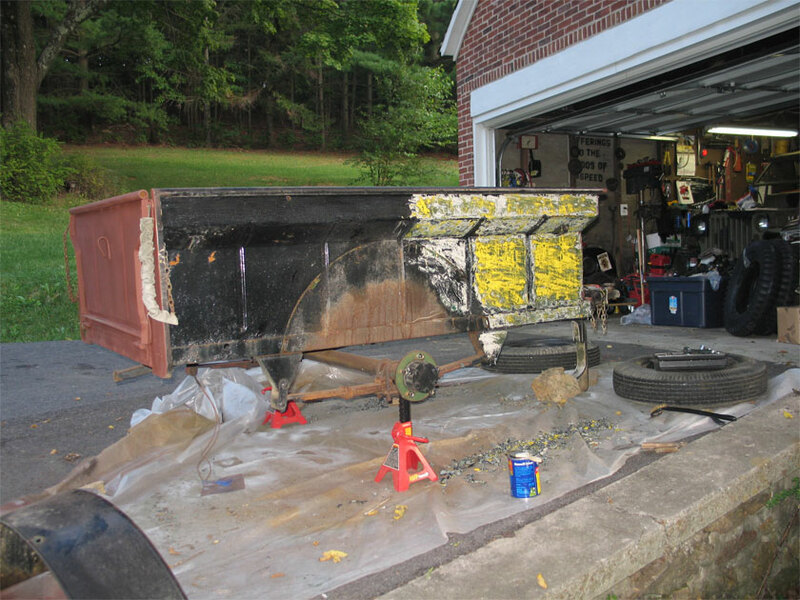 Restoration was extremely simple due to the nice condition of the trailer. I stripped the BT3-C down to bare metal using wire brush, cup brush, and paint stripper; primed and then painted it. I also greased everything while I had it apart. I ordered new tires from Coker tire. I ordered a canvas top from Beechwood canvas. Beechwood makes the tops for both the civilian and military models. 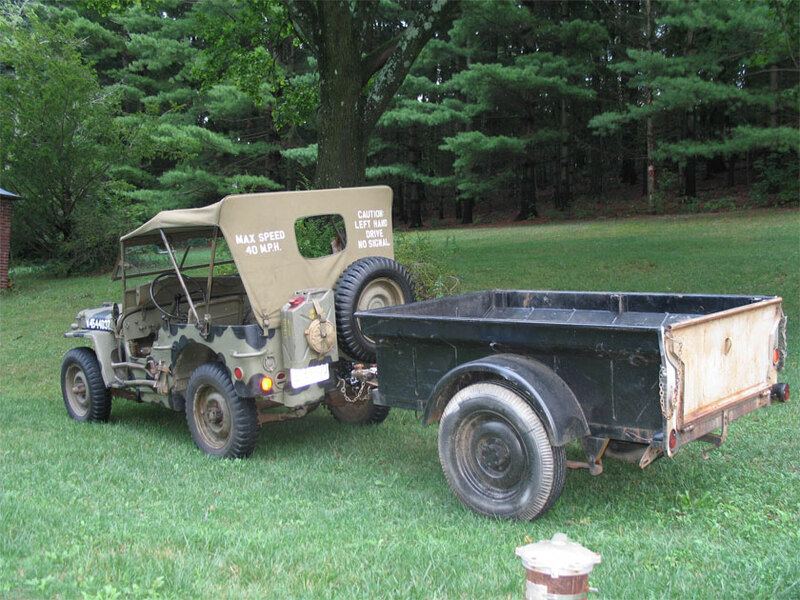 The restoration took about a month and I had the trailer ready for a convoy in September from Thurmont, MD to Eisenhower's farm in Gettysburg, PA.